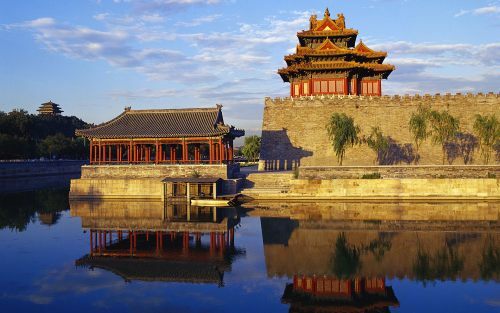 On September 16th at 9:00AM EST, Hainan Airlines will be dropping the price of certain flights from Toronto to Beijing, China down to a jaw dropping $555 CAD roundtrip including taxes. (Business class will be $2015). It is rarely the case that one is given advance notice about an amazing airfare price and has 5 days to prepare for it. Hainan Airlines is one of the world's highest rated airlines. They fly a Boeing 787 Dreamliner on this route. Their flights between Toronto and Beijing are non-stop. ^^ Based on promotions I've seen from Hainan in the past, you will probably need to search from this page directly, and this price may not show up on the usual search engines, or from the search engine on the front page of the Hainan Airlines website. 2. When you get to the page above, scroll down to the bottom of the page, and search for a trip from Toronto (YYZ) to Beijing (PEK). Use a departure date between November 22, 2015 and December 2, 2015. Use a return date between November 25, 2015 and March 2nd, 2016. Click on 'Enjoy The Deal' to begin your search. Once you get to the results page, you can click on 'Change Dates' to try other date combinations. Remember to hit the tiny little 'Find' button after you've changed the dates. It's on the same page. This price is apparently going to be available until Wednesday, September 23rd - but like all airfares, is subject to availability. Receiving the 'We are unable to find recommendations for your search' message again. Come on Hainan, add a few more! Where to stay in Beijing? The following AirBNB link will lead you to some great deals on places to stay in Beijing for under $40 CAD/night for 2 people. toronto, yyz, flight deals, asia, east asia, beijing, china, pek and hainan airlines. 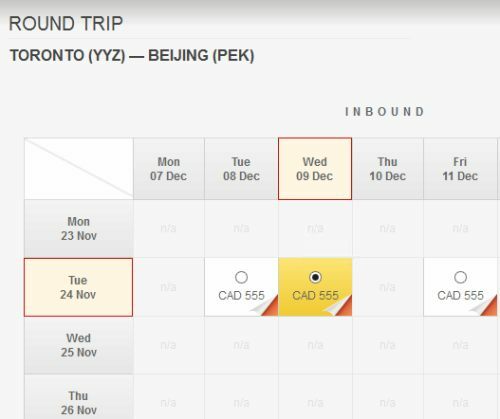 2 Responses to "In 5 days, Toronto to Beijing, China flights will be available for $555 CAD roundtrip including taxes"
Thank you so much for your great work and that of your followers, bringing these amazing deals to us. I just purchased my trip to Beijing (>$555 after taxes and everything!) and I cannot wait to see my friends and family in November! Thanks Chris and friends! Excellent! Thanks Nahid, have a great time in China!